What changes will need to be made to agricultural practices in order to double food production for predicted population growth this century? Currently, 1 in 8 people globally lack access to food or are chronically malnourished. This alone is a large problem for world food systems, however with the population expected to increase to 9 billion by 2050 the problem just got even bigger. Our agricultural food systems are estimated to require doubling in order to feed all those extra people. How will agricultural food systems have to change this century to provide global food security while also reducing the environmental impacts that agricultural practices have caused leading to increasing climate change? This is the question these researchers set out to answer in another wonderful example of science being a collaborative sport. Agriculture currently uses 50% of the earth’s ice-free surfaces. 12% is used for crops we eat directly, while 38% is used for pasture to grow livestock as well as other things like biofuels (2%). We as a species have used pretty much all the land that is available on the planet for agriculture – the land we haven’t farmed is tundra, desert, mountains or cities. Agriculture is the single biggest land use on the planet. Innovation is going to be the major key to increasing global food production in this century, given that there’s not much more land we can farm on effectively. Global crop yields increased by 56% between 1965-1985 with the advent of mechanised and industrialised agricultural practices. However, between 1985-2005 yields only increased by a further 20%, and yields are increasing by smaller margins each year. Most of the land currently being cleared for new agriculture is in the tropics and contributing to tropical deforestation. This is an issue for two reasons: firstly because deforestation worldwide is a huge contributor to greenhouse gas emissions and climate change, but also secondly because most tropical land is less productive than land that is already being farmed. This means that the productivity gained is less than the greenhouse gasses emitted through the deforestation. Luckily for the authors of the paper, one of the major drivers of tropical deforestation is local economic drivers, which means the solution to this issue is socio-economic and this group of scientists will leave that for the economists. Recent research has looked at ‘yield gaps’ which is where different farms in the same area with the same soil and climate conditions end up with different crop yields. Closing those yield gaps and making sure each farm is as productive as possible is one gap that could contribute greatly to feeding the world. The research shows the greatest room for improvement is in areas of Africa, Latin America and Eastern Europe. Closing the yield gap by 95% (so that your farm is 95% as productive as your neighbour’s farm) could increase world food production by 58%. If we only managed to close the yield gap by 75%, there would still be a 28% increase in food production. However, doing this while simultaneously reducing the environmental impacts from intensive agriculture requires farmers to look more at Precision Agriculture methods. The current agricultural usage of water, nutrients and chemicals is unsustainable. Excess nutrient use has affected Nitrogen and Phosphorus cycles which has led to farmland without enough soil nutrients because of losses in the agricultural processes and deadzones in oceans from too much nutrient runoff. The research found that nutrient excesses were worst in areas of China, Northern India, the USA and Western Europe, and recommends that these countries implement nutrient recycling and recovery programs to minimise use. Food delivery systems need to be reformed in order to feed 9 billion people. The paper points out that a dietary shift away from meat would make land much more productive as it would be growing crops for direct human consumption, but they’re also realistic about how unlikely it is that we’ll all become vegetarian. However there are much more immediate efficiencies to be found reducing waste in supply chains. The UN Food and Agriculture Organisation estimates that 1/3 of all food is never consumed. It either gets damaged in transit, or is not sold and gets thrown out. Making our supply chains from farm to table shorter and more efficient will be key to feeding the world. The researchers point out that feeding 9 billion people successfully will only be possible if all of the above strategies are implemented at once. Better yields and food delivery systems won’t be very useful if deforestation continues and climate change starts wiping out all the yield gains. Similarly, ending deforestation alone won’t be very useful if water and nutrient use don’t become more efficient and yields are affected by shortages. The paper suggests scaling up some solutions that are already being implemented by some farmers like precision agriculture, drip irrigation, organic soil remedies (like no-till farming), buffer strips and wetland restoration in low lying areas, drought resistant crops and low fertilizer crops, perennial grains and paying farmers for environmental services. As with combating climate change, feeding the world is going to take new and innovative practices which not only improve the farming business, but also improve the resilience of agricultural food systems, and all of these solutions need to be tried simultaneously. 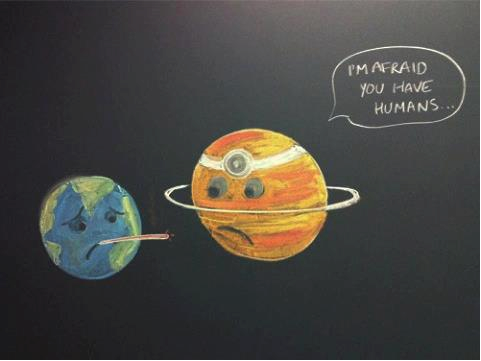 But I guess no-one ever said solving the world’s problems was going to be easy! This research from the US is quite practical. The researchers looked at the electricity use from 1999 – 2002 in the ‘PJM Interconnection’ which is a power grid in the North Eastern USA that includes Delaware, New Jersey, Pennsylvania, Virginia, West Virginia, Ohio and parts of Indiana, Illinois and Michigan. They wanted to know what a renewable power grid would look like, how much it would cost and how you could do it. Research excitement! The PJM Interconnection power grid area in the blue lines. 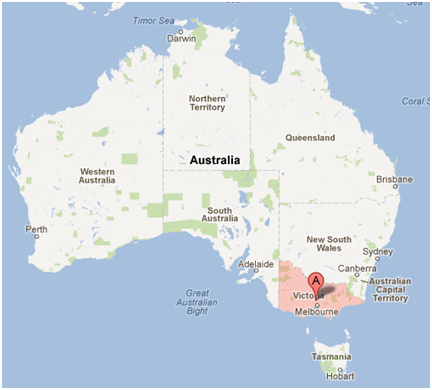 So what does a renewable power grid look like in this area? It involves a combination of renewables, which are onshore wind, offshore wind and solar in multiple locations which provides the greatest range of renewable power sources (if the wind is still in one state, it may be blowing in the next state). The first hurdle this team had to jump was storage. The most popular storage model for renewables is wind-hydro hybrids (which I’ve written about previously here), however in this corner of the USA, there’s not much hydro power. So the paper looked at the options of electric vehicle grid storage, hydrogen storage and battery storage (lithium titanate batteries for those playing at home). They used the data from 1999-2002 to model the hourly fluctuations of electricity demand, which averaged out at 31.5 Gigawatts (GW) of 72GW of generation. They then matched the load hour by hour with renewables and worked out which was cheapest. They calculated the costs with a level playing field, which means no subsidies. No subsidies for renewables, but also a magical time when there’s not billions upon billions of dollars each year for fossil fuel subsides as well. The results were that a renewable grid with 30% of coverage produced 50% of the power required for the sample years, while a renewable grid that provided 90% of the power coverage produced double the power required and a renewable grid that provided 99.9% of the power coverage produced three times the energy required. The researchers found that an overproduction of renewable electricity was preferable to trying to exactly match the power required and also reduced the need for storage. A few of the benefits they found were that offshore wind and solar often generate when inland wind doesn’t, and that there was greater over-supply of power in the winter months which could allow for natural gas heating to be replaced by renewable electric heating. What about the costs? The researchers looked at what the cost was for power in 2010 dollars and then adjusted for efficiencies to estimate the 2030 cost of power for the model and the infrastructure. The 2010 cost of power was 17c per Kilowatt hour (kWh), while a renewable grid with 30% coverage would cost 10-11c per kWh, a 90% renewable grid would cost 6c per kWh and a 99.9% renewable grid is at parity with the fossil fuel grid at 17c per kWh. Yes, even in coal country in the USA, switching to a hybrid renewable system (in a level playing field) is cheaper than the current cost of fossil fuel electricity. It also comes with the added benefits of no mercury poisoning from coal fired power plants too! 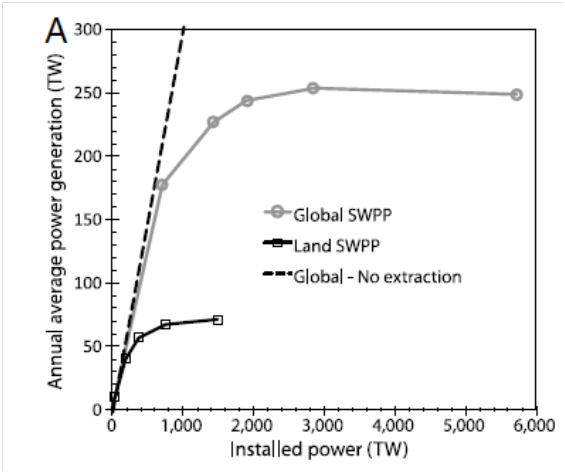 The paper concludes that while excess power generation in a renewable grid is a new idea, it shouldn’t be too problematic since it saves on storage needs and is the most cost-effective variation. Their advice for plucky leaders who would like to make this grid a reality? The most cost-effective way to build this grid is to aim for 30% renewables now, and phase in the rest to 90% in 2030. Each step along the way to more renewable power will not only be a climate saving step, it will save money as well. How Does Your Wind Farm Grow? Calculating what the global saturation point for wind energy would be and if we can generate enough wind power to power half the globe. WHAT: Predicting the effectiveness of scaling up wind power to provide half the world’s power requirements by 2030. I learnt about a new law today; Betz’s Law. Betz was a guy who decided to calculate exactly how much energy could be extracted from the wind by a turbine at any given time mathematically (as you do). He worked out that no turbine can take any more than 59.3% of the energy from the wind. To be able to conceptualise this, you have to think about wind like a physicist. The first law of thermodynamics states that you can’t create or destroy energy; you can only convert it to different forms. Therefore, all wind is just energy in a certain form, and in any system there is a point where the transformation is most efficient and beyond there it takes a lot of effort to get any more energy from the system. There’s a really cool project being done in the US, where a website has taken data from the National Digital Forecast Database and created a visual representation of what wind would look like if you could see it move. It’s strikingly beautiful, and looks a lot like a Van Gogh painting. The question this paper looks at is: since there is a limit to the amount of energy you can take from a turbine, what is the maximum wind power that can be extracted from a geographical area? They called it the ‘Saturation Wind Power Potential’. They came up with some interesting findings, as well as probably having a lot of fun along the way because they used 3D Models to do it (I’m telling you, my chemistry molecular model kit was much more like playing with Lego than actual ‘science’). They got into the detail and calculated the potential wind power at 10m off the ground, 100m off the ground (the standard height of a wind turbine) and 10km off the ground in the jet stream. They then looked at whether it would be possible to scale up wind power globally to meet 50% of the world’s power needs by 2030. Actually measuring the wind power potential for more than 1 Terrawatt (TW) of energy is not possible as there isn’t enough wind power installed yet. But they did mathematically work out that we would need 4million 5 Megawatt (MW) turbines to supply half of the world’s electricity needs in 2030 (5.75TW). They did four simulations with different turbine densities, because how close together wind turbines are affects their ability to produce power. Put them too close together and they start stealing their neighbour’s wind power. Overall, up to 715TW, the increased number of turbines increases the amount of power in a linear straight line. Once you get above that it slows down and flattens out – once again you need to put much more effort in to get power out. The saturation point, where no matter how many more turbines you add, they’ll just be stealing energy from each other and not adding anything to the total, was 2,870TW of power globally. Interestingly, they found the wind power available in the jet stream (10km above the ground) was 150% greater than the wind power available 100m above the ground. There were also some big changes to the results depending on the density. 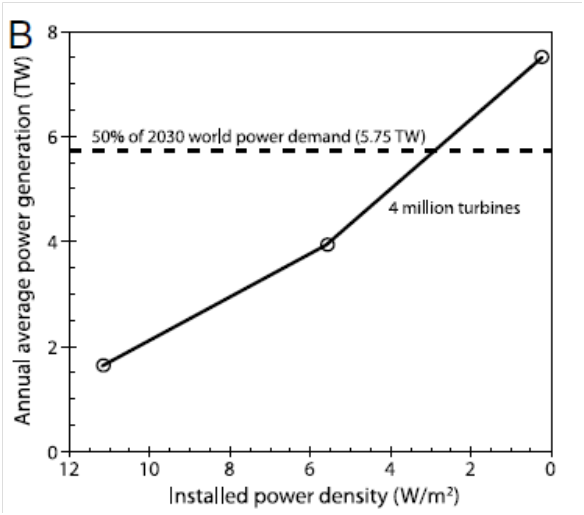 If we placed 4million 5MW turbines and packed them in at 11.3 Watts per m2 (W/m2), they would be too close together and the collected power wouldn’t match the target for half the world’s power by 2030. If you spread them out to 5.6W/m2 the output is still too low. However, once you’ve got them spaced at 2.9W/m2, they produce enough power to meet the required demand. So it turns out wind turbines don’t like it when you cramp their style. But, you can pack them in a bit tighter, only if you then have enough space between your wind farm and your neighbour’s wind farm. It’s a bit like playing wind farm Tetris. What does this mean though? It means that we can ramp up world wind power production to levels that will meet half our power needs in 2030, which can be integrated with hydro, solar and other renewables with smart grids to power our cities and lifestyles without burning fossil fuels. But it also means we need to think about where we are putting wind farms and how much space they need to be as efficient as possible. We need that renewable energy, so we can’t cramp the wind turbines’ style! Are you tired of your drought prediction methods using only two layers of soil structure to track moisture? Sick of having to work with constants when you’d much rather be using dynamically calculated values? Well, this paper is for you. Drought is going to be a big issue with climate change as rainfall patterns change and move. Agricultural yields are not able to increase as quickly as the world’s population increases but people still need to eat. Drought is going to affect all of us as extreme weather increases from climate change, whether it’s through increased food prices (I’m still upset about bacon), local water restrictions (stop hosing down concrete – stop it now), local ecosystems being stressed or climate refugees from newly arid areas. This is one of the great ironies about climate change – you can’t negotiate with or spin physics. The laws of physics aren’t going to change because of some slick advertising campaign trying to prop up a floundering status-quo, and climate change isn’t going to avoid you if you ignore it. In terms of drought modelling and prediction, each method currently used has slightly different ways of predicting drought, which means they can’t easily be compared. 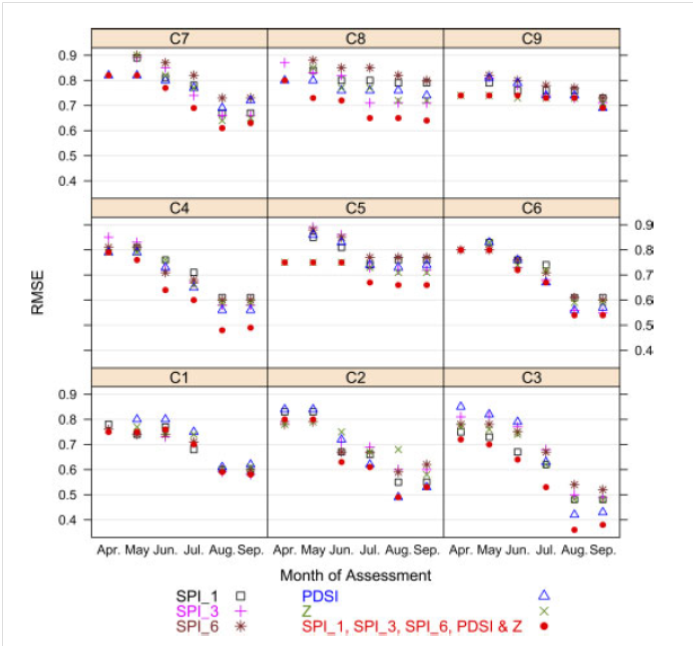 The method the researchers used for this paper was to modify the original Palmer Drought Severity Index to include more variable data. They accounted for six soil layers and a new evaporation calculation. Instead of using constant numbers for the characteristics of the climate, they allowed each of those to be calculated too. This means most people end up with a giant math headache from extra calculations, but by allowing for greater variability, they also allowed for greater sensitivity and accuracy in their model. The new model was also tested for accuracy against the Palmer Drought Severity Index, Standardised Precipitation Data and Palmer Moisture Anomaly Index methods. For any of these models to work, they need approximately 30 years of monthly weather data (temperature, rain etc). This paper looked at 1976 – 2003 as it was the period of most consistent data in the area they were studying (the Canadian Prairies). Then they got into the serious math using all kinds of things like a ‘thin plate smooth spline surface fitting method’ to remove the noise from the data and a linear regression to remove yield differences from better agricultural practices, allowing them to just look at the data that was climate affected. It went pretty well; their predictions were more accurate than the other standard drought prediction methods, except for predicting extreme drought, which their model under-predicted. This is possibly because there wasn’t a lot of data points in the previous 30 years with extreme drought, so as extreme weather becomes more normal under climate change, their model will probably get more accurate. They also found that the model is more accurate for arid locations, as flooding messes up the model. As the extreme, unpredictable realities of climate change start to affect everyone in the next decade or so, this drought prediction model will likely be very useful. Predicting the extremes as best we can is going to become an essential tool for preventing massive crop failures as well as loss of human lives. One of the major barriers to the full scale take-up of renewable energy to power electricity grids has been the need to provide baseload power to users. This is the power required to keep your fridge running through the night, the power to keep traffic lights running all day and night and many other things. It’s the minimum amount of electricity required to keep the modern world running. Renewable power is not constant, because the sun doesn’t shine at night and it’s not always windy, and water runs through rivers at different speeds depending on the time of year. So in order to provide the constant power needed, a hybrid system of renewable energy sources needs to be used. This paper from the University of Melbourne in Australia has done that. 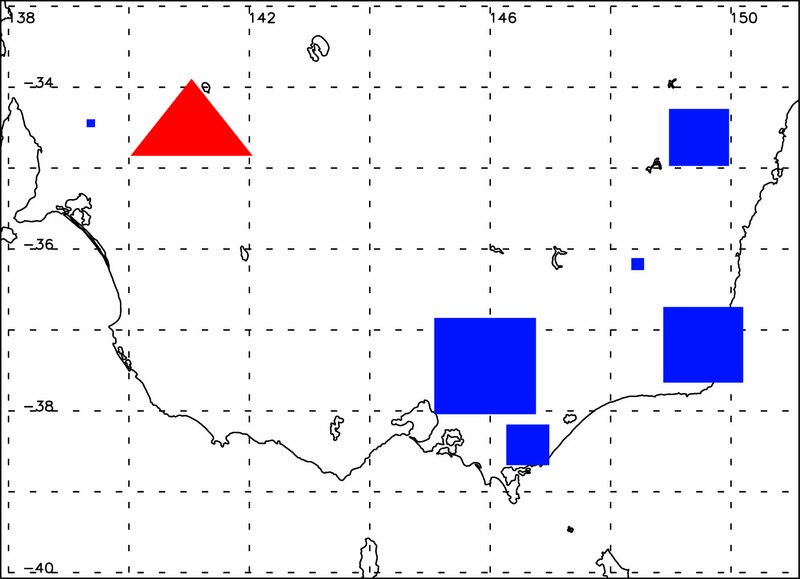 They used detailed weather maps for the state of Victoria to determine the best locations for solar and wind power. They then combined the outputs of the solar and the wind with other forms of renewable energy, including hydro-electricity (running water spinning a turbine to make power) and wind-hydro hybrids where excess wind power will pump water up a hill to a raised dam, and when the wind dies down, the dam gets opened and the hydro starts producing electricity. They found that the entire electricity needs of the state of Victoria could be met from renewable power sources with only 2% back up from natural gas needed. So what does this mean for reducing the effects of climate change? It means that renewable power is viable in the state of Victoria, which will allow the state to switch from it’s current power source of brown coal (which is much dirtier than your standard black coal when it burns, releasing more carbon pollution into the atmosphere). Making the transition to a hybrid renewable system will also significantly reduce carbon emissions in the state of Victoria since 49% of energy in the state comes from coal power. It will create a large number of new jobs, as the renewable energy market increases from 12% (in 2011) to the 98% that has been shown in the research, which we will need to do in the next 30 years if we want to avoid catastrophic climate change. How can it be done? 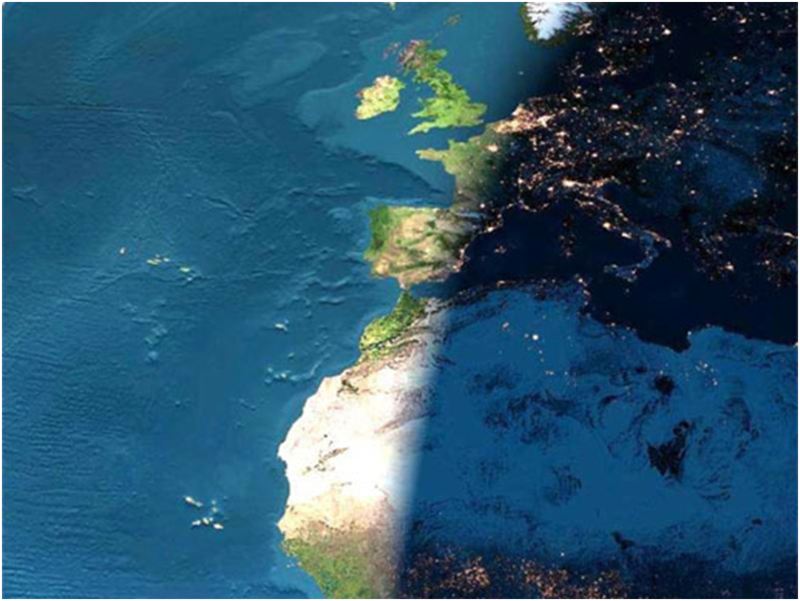 By ensuring areas are able to access either localised power production (in rural or remote areas), or smart grids (in cities) that are able to monitor and respond to changing power production levels and changing energy use levels, hybrid systems of renewable electricity are fully capable of providing the power we need to run our lives.